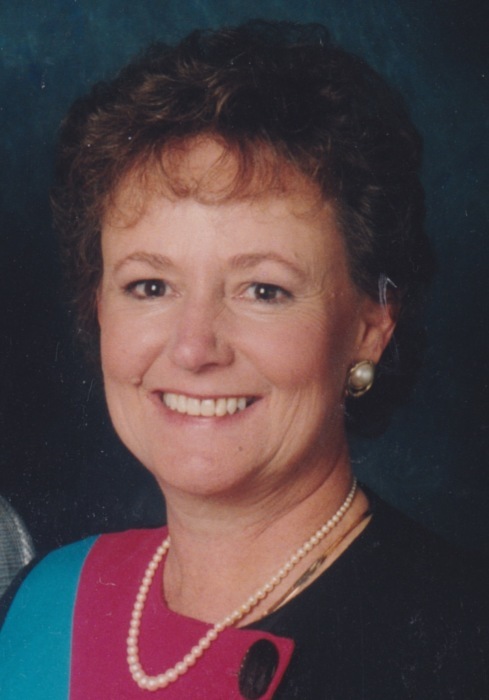 Helen Joiner, 80, of Rogers, died on November 7, 2018. She was born in Chicago to John and Helen Joiner. She was married to Bill Clark of Redfield from 1955-1982. She is survived by her children, John Clark of Fayetteville, Steve Clark of Hensley, and Karen Ann of Siloam Springs. In addition to her three children whom she loved, she is survived by her sisters, Dorothy (Jim) Carroll of Chicago, IL, and Edith (Ricky) Doulos of Mt. Prospect, IL. Her children and their spouses gave her the joy of 6 grandchildren and 10 great-grandchildren, scattered from Little Rock to Spokane, WA. She was loved by many others, including her nieces and nephews in Chicago and Arkansas, and many friends and extended family members across the country. Helen was a homemaker in Romeoville, Illinois, until moving to Arkansas with Bill and the kids in 1972, where she had a brief stint on the production line making toasters at Sunbeam. She realized she was too much like Lucy Ricardo sorting chocolates after only a few hours, so she never went back after her break. Instead she became a keypunch operator for the Arkansas State Police, and later an employment specialist with the Employment Security Division of Arkansas. She retired from the State of Arkansas in 1999 and went on to live in Little Rock, Memphis, Ocean Springs, MS, Siloam Springs, AR and Rogers, AR. In retirement she eschewed digital life and could barely use a smartphone. But, she could play solitaire on her computer and feed a slot machine, and she did so often. She frequently rearranged her furniture and moved houses when the mood struck her, because she enjoyed a fresh perspective now and again. She loved to travel, and went to Amsterdam with the Little Rock Ski Club even though she didn’t ski, went on cruises to Mexico and the Caribbean and often visited Las Vegas and Biloxi both solo and with her sister. In her later years, she always said when she moved in a place that she wasn’t leaving unless it was "feet first". She got her wish, dying suddenly and painlessly at home and happy with her independence intact.